instantly improve your customer service. It takes less than a minute - and it's free! E-mail is a staple of modern business communication. In fact, many of us spent a significant part of our workdays reading and answering e-mail. It doesn't have to be this way. 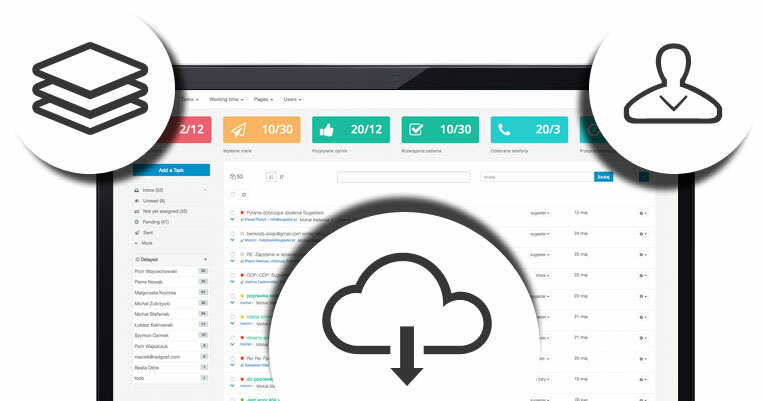 Sugester - a simple, cloud-based e-mail management tool - is here. Instantly improve relations with your customers. No need to create new mailboxes - redirecting your mail to Sugester takes just minutes. Sending mail from your old addresses is just as easy. We built Sugester with entrepreneurs in mind. Features like canned responses, response rating and time management will help your company grow. E-mail isn't everything. This is why Sugester includes a simple CRM module, file sharing, forum hosting and more - it's everything you need to work productively. Transitioning to new software doesn't have to be difficult or time-consuming. In Sugester setting up redirects, new outgoing addresses and importing your mail archive can be done in minutes. Not a tech buff? It's okay - we're happy to help! No more overlooked mail, forgotten tasks and ignored forum posts. Sugester's inbox collects all relevant communications in a single, familiar inbox. Stop worrying about technicalities, and concentrate on what you do best. The faster you answer their questions, the happier your customers are. Instead of typing up the same response a million times, just create a few templates for the most frequently asked questions. Save time and make your customers happier - what's not to like?